Dianne thought a moment, but couldn’t get the numbers to work in her head, but it didn’t matter because she hadn’t changed. There were differences, of course, Dianne wouldn’t deny that—couldn’t because it would be crazy if she refused to acknowledge the facts before her—but the differences in her cousin were small and insignificant. She’d grown up, of course, that was the most obvious difference. The last time they’d seen each other was the last summer she’d spent at their grandmother’s farm. They were standing together, her cousin holding onto their grandmother while Dianne pounded on the back window of her parents’ car as they drove her away. Thirty years and two months and the hair that had once been all wildfire and flames, though still the color of an autumn sunset, had been tamed. Cut short and primly pinned back, it framed a face that still looked as if it had been carved from ivory—like one of their grandmother’s cameos or a porcelain mask. Dianne squinted through her glasses, looking for the cracks she knew had to be there because even the finest ivory and porcelain weathers in time, and was disappointed. Her cousin smiled at the seating hostess as they started across the restaurant and there they were—cracks like parentheses around the perfect ‘cupid bow’ lips and spider webs that radiated outward from the corners of eyes the color of a 7-Up bottle. She was still smiling when they reached the table. Dianne has asked for a table near the back of the restaurant when she’d made the reservations because she’d wanted to see her cousin first. “Dianne!” Her voice was the same. Dianne sat up, straightening her back and shoulders even though she hadn’t been slumping—“Sit up straight, Dianne! You’re not an uncooked noodle. Look at Helene, she sits like a princess. Can’t you sit like that?”—and smoothed the front of her white blouse. The blouse didn’t fit very well, but it looked nice. No fair! She’d wanted to say that. Besides, it was a lie. Helene might not have changed—that much—but she had, she had changed a lot and she didn’t need a mirror to see it. Outwardly she thought she still looked a little like Dianne—the petite little thing with its mop of curly blond hair and placid round eyes made owl-like by the glasses she’d worn from age five—but that’s where it stopped. Inside she was different. Inside she had changed. And it was all Helene’s fault. The seating hostess said something about sending over a waiter and hoping they enjoyed their dinner as Helene sat down without waiting to be asked. Dismissing the hostess with a nod, she slipped the woolen cape from her shoulders and was finding room for it and her purse on the empty chair to her right as a smiling waiter materialized. “A glass of Albariño, please,” her cousin interrupted. Helene added more amperage to her smile, forcing Dianne to sit back in order to avoid getting burned. Both her cousin and the waiter were looking at her, waiting for herto order something to drink. “Very good, ma’am,” he said and left without giving Dianne another glance, almost as if she wasn’t there. Dianne took the napkin off the table, unrolled it and put it across her lap, pressing the white linen against her dark blue skirt to prove to herself that she was. Helene laughed and the older couple at the next table turned and smiled. Dianne saw them, but Helene didn’t notice. Their waiter was back carrying a tray with two filled wine glasses and a water carafe. Two menu folders bound in the same faux red leather as his order pad were tucked under one arm. After placing the wine glasses in front of them, he filled the water goblets already on the table and handed them the menus, Helene’s first, before stepping back. “Will you give us a few minutes,” Helene asked, rewarding him with yet another smile. “Of course,” he said and vanished. Helene picked up her wine glass and sniffed it before taking a sip. Actors always did that in movies, but it was the first time Dianne saw a real person do it. But when Dianne didn’t, her cousin took another sip. She was still holding it as she leaned back against her chair. Her cousin’s smile diminished as she leaned forward to set the glass down and reached across the table, holding out her hand—palm up, perfectly manicured fingers curled in slightly. That hadn’t changed either; the gesture of making the first move, of holding out her hand so it looked like Dianne was the one who had to be persuaded to make peace. Make up even when she was the victim. Dianne’s hand looked small and red and rough, like a piece of raw meat against her cousin’s smooth, pale skin. Dianne picked up her water glass and took a sip. The water was tepid and tasted flat, but she swallowed and put the glass down. Her cousin took a longer sip before putting her glass back on the table. This time more than just the older couple turned to look, and smile, when Helene laughed. And then all she had to do was sit back and listen. Dianne hated to admit it, but she missed the sound of her cousin’s voice. In real life and not only remembered inside her head. They had only spent one summer together at their grandmother’s farm—but those three months had been enough. The days had been like warm honey, but the nights had been too long and too dark. Dianne took another sip of water as her cousin’s words floated, sparkling like fireflies in the air between them. Their grandmother said Helene had the gift of gab and said she’d either be an actress or politician when she grew up. Dianne remembered those summer nights on the front porch of their grandmother’s house, listening to her cousin tell stories. She was always telling stories. That summer Helene was eleven, four years older than Dianne. Tall and pretty and clever, vivacious and outgoing, her cousin was mature for her age while Dianne was still called the baby of the family. Over the years—thirty and two months—Dianne had thought about that summer and tried to find a reason for what happened, but maybe it was as simple as that...maybe her cousin just hadn’t wanted a baby tagging after her. Children can be cruel and vicious and methodical. And the really clever, mature ones can make up stories to protect themselves. Dianne blinked and the world came back. The waiter was back, hands raised chest level, holding the red-faux leather pad in one hand and a pen in the other. Both he and Helene were looking at her. Dianne put the water glass down. “Sorry, I was a million...miles away.” She’d wanted to say years, that she was thirty years and two months away, but that would have sounded strange. He didn’t say how much anything cost, but Dianne knew restaurants like this never did when you were ordering. “Which takes the longest,” she asked. Their waiter looked puzzled but before he could answer Helene closed her menu folder hard enough to bring his attention back to her. Dianne nodded. She wasn’t planning on saying no. Dianna didn’t like sweet things, but said nothing. She’d had enough homemade ice cream and jams and jellies the summer they spent at Grammy C’s farm to last her a lifetime. Dianne stopped listening, they were speaking a language she didn’t understand, and sat back, looking around. The room was softly lit in shades of blue, the perpetual night held at bay only by the warm yellow glow from the flickering candle centerpieces on each table. Soft music floated in the dark air from hidden speakers in the ceiling, but Dianne didn’t recognize the tune. The restaurant was filled almost to capacity and the wait staff, both waiters and waitresses, moved in and around the tables like faceless demons in some nocturnal hell. Helene only called her Dianne if their grandmother was around, when they were alone it was Didi....or Doo-doo if she acted like a baby. Dianne stopped crying the second night of the summer they spent together, but the stories didn’t stop. They never stopped. 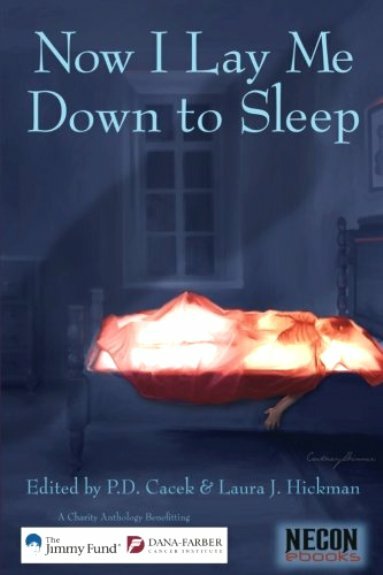 Dianne still remembered the feel of the cot their grandmother put in the guest room for her—Helene got the bed because she was older—against her back as she listened to the stories, staring up at the dark cracks in the ceiling. There were faces in the cracks, misshapen monster faces that stared back at her through the pale blue light that came in through the lace curtains on the window. Helene told a different story every night...different, but the same...and every night she’d listen and stare at the faces looking down at her as the stories slipped into the space behind her eyes to hide and watch and wait until everyone was asleep. Then all it would take was a cricket’s chirp or the thump of a water pipe or a groan or creak of the house settling and the nightmares would reach out of the darkness and grab her. She’d wake up screaming every night and every night Helene would jump out of bed at the first sound and push a pillow down over her face to muffle the sound and push the nightmare deeper inside her head. It took a week, but finally Dianne stopped screaming. But only on the outside. The nightmares didn’t go away, they never went away. “This really is a beautiful place.” Helene was talking again. The waiter was gone. She sat back, lifting her wine glass in the process. Dianne had read the Yelp review on the library’s computer. The restaurant had five stars, four dollar signs and a long list of comments. Dianne found the ones she wanted half-way down. Everyone agreed that the food was excellent, the service impeccable and the ambience beyond compare, but that the wait could be a bit long when ordering certain entrées. “A half hour’s not too long to wait for excellence,” someone wrote and that’s what sealed the deal. The room went cold and seemed to shift under Dianne’s chair. Shivering, she grabbed the table edge to keep from falling. Helene finished the wine, twirling the empty glass between her fingers the same way she used to twirl the straw plunger when she finished an ice cream Push-Up Pop. “I didn’t let you,” Dianne said and was almost surprised at how normal her voice sounded, steady and firm and rational; and wished, but only for a moment, that Dr. Booth was there to hear her. “You do?” Grammy C never mentioned that when she came to visit. Her cousin’s face went sad the same way it had the few, rare times their grandmother had scolded her. She really hadn’t changed at all, she’d just gotten older. “No, probably not.”Grammy C lied to her, how interesting. “I brought something to show you, Helene,” Dianne interrupted as she lifted her purse from the floor to her lap. The purse had gotten a number of looks from the restaurant’s customers and wait staff as she followed the seating hostess to the table at the back of the room; and got the same look from her cousin. The purse didn’t go with the plain white blouse and blue pencil skirt, but then, neither did the flat white nurses shoes she wore. More functional than fashionable, the purse was big and ungainly, about a half yard square and made from a single piece of blue-and-white striped upholstery material folded in half. Dianne had stitched it together herself and finished it off with a white cord shoulder strap. It was the first thing she had ever made all by herself and she was still proud of the accomplishment. She was twelve at the time. “Nice...bag,” her cousin said and smiled, but the smile only showed on her lips. It never reached her eyes. Dr. Booth smiled like that, too, only with her mouth, so Dianne knew her cousin was lying about the bag. Moving the candle to one side, she put the painted jar in the center of the table directly between them. It seemed to shimmer in the flickering candlelight. Her cousin leaned back, making a show of rubbing her hand that couldn’t have hurt that much. Dianne ignored her and let herself get lost in the swirling blues and purples and grays of the windblown sky painted on the inside of the jar. A pale bone-yellow moon hung near the top of the jar, peeking at her over the top of the large hunch-backed bird that sat on the branch of the gnarled, leafless tree her grandmother had painted on the outside of the glass. The bird’s single red eye—always open, always staring—seemed to wink at her in the flickering candlelight. Dianne winked back. 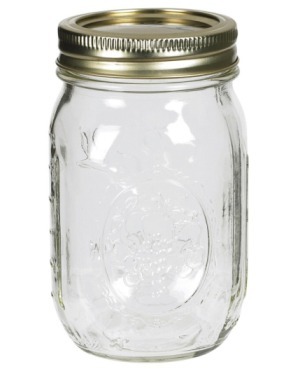 “It’s one of her canning jars, you know, the kind she used when she made jam? You remember, we used to pick wild raspberries and bring them to her and she’d cook them down and—” Stay on topic, Dianne, Dr. Booth’s voice whispered inside her head. You don’t have much time. Dianne nodded to the voice and turned the jar around so the bird faced her cousin. Her cousin’s false smile widened then fell away as she twisted her body toward the front of the restaurant. She wasn’t interested, she didn’t care. Dianne took the other thing out of her purse. Helene was watching the waiter and didn’t see it, but he did and stopped when he was still a few tables away. The wine bottle fell from his hand and shattered against the polished floor, spraying half a dozen customers. Helene yelped and there were a few other shouts, surprise at first, then going into anger and finally fear when someone saw what was in her hand and screamed. Other screams followed, mixed with the sounds of chairs sliding back, falling over and feet hurrying to the exit. There’d be sirens next, Dianne knew, but not for a while. Her cousin shook her head. She wasn’t really sure what to do next because she always closed her eyes when the bad men on TV were about to shoot someone, but the threat was enough to make her cousin stop crying. Thank goodness. Her cousin seemed to deflate inside her skin, even her voice sounded breathless when she finally answered. The walls suddenly leaned in, closing in, squeezing the air from the room, from her lungs; the vacuum sucking the sweat from her face. Dianne gasped, fighting for the air that remained. It’s only a panic attack, Dianne. Breathe. You’re okay, just breathe. It was the name, the sound of it brought her back. Panting, Dianne lifted the gun. Dianne put the gun down on the table and picked up the jar. “Shut up,” Dianne said, softly because there was no need to shout anymore. Sitting back, she took a deep breath and began unscrewing the lid. There was some sort of commotion near the restaurant’s front doors and when Dianne looked she could see the red-blue-red-blue flash of the arriving police cars. Before her cousin could answer, Dianne opened the jar. 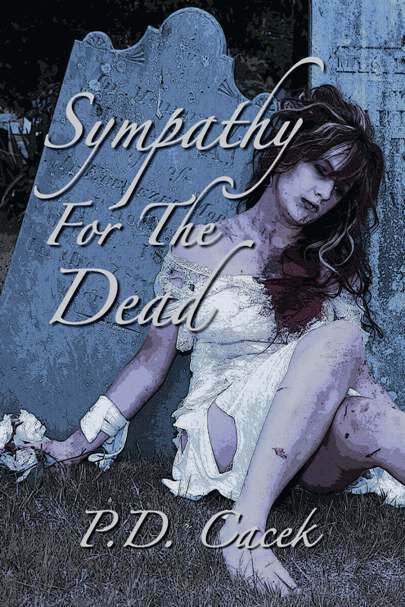 It was so quiet when she opened her eyes Dianne could hear the muscles and tendons and joints in her body move against one another as she screwed the lid back onto the Nightmare Jar. It felt heavy in her hands, full. “It’s a jar,” Dianne said, holding it up for the two officers to see. It was just like on TV, although this time she didn’t close her eyes. The two policemen had their guns drawn and were pointing them at her. Dianne stayed very still, because that’s what policemen wanted a person to do when they point their guns at them—Hands up, stay still. She only held one hand up because the other one was holding the Nightmare Jar, still she thought that would be enough. 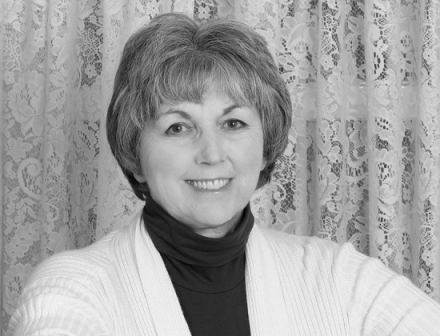 One of the officers approached her slowly and snatched Dianne’s gun off the table. “I made it,” Dianne said. They weren’t supposed to make things like guns or knives or anything with sharp points that could put people’s eyes out in Art Therapy, but she’d been there longer than some of the instructors and the nurses stopped paying attention to her years ago. Nodding, the policewoman kept her gun out and stepped back from the table. She was still holding Dianne’s wooden weapon and showed it to a man in a dark suit. The man nodded and said something Dianne couldn’t make out, then walked to the table and stood next to Helene’s empty chair. He was holding a small notebook in his right hand. He smiled, really smiled at her then turned back to another man in a suit. Dianne knew they were detectives because detectives always wore suits on TV. Dianne took a deep breath and pressed the Nightmare Jar to her belly, smiling when she felt the faint vibrations coming through the glass, as if someone was pounding tiny fists against the inside of the jar. The winner of both a Bram Stoker and World Fantasy Award, P.D. Cacek has written six plays, published over a hundred short stories and five published novels. 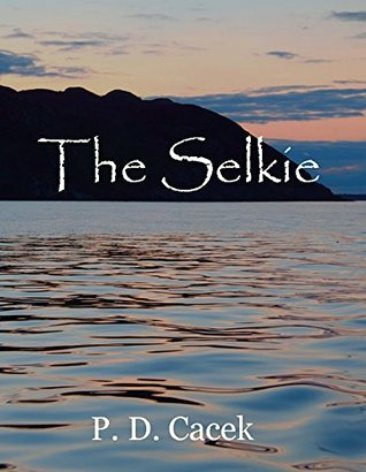 A confirmed Luddite, Cacek recently tipped her toe into self-publishing with her novel THE SELKIE, which is currently available on Amzon.com as an e-book. Her work has appeared has appeared in numerous magazines and anthologies since “going professional” in the late 90’s and she’s still going strong—having recently co-edited, with Laura J. Hickman, the charity anthology, NOW I LAY ME DOWN TO SLEEP, from Necon Books (www.neconbooks.com), with all proceeds going to The Jimmy Fund of the DANA-BARBER Cancer Institute. Cacek holds a Bachelor’s Degree in English/Creative Writing Option from the University of California at Long Beach and has been a guest lecturer at the Odyssey Writing Camp. A native Westerner, Cacek now lives Phoenixville, PA…home of BLOBFEST, and only a short walk away from The Colonial Theater where the famous “Run Screaming from Theater” scene was filmed. When not writing, she can often been found either with a group of costumed storytellers called THE PATIENT CREATURES (www.creatureseast.com), or haunting local cemeteries looking for ghosts.